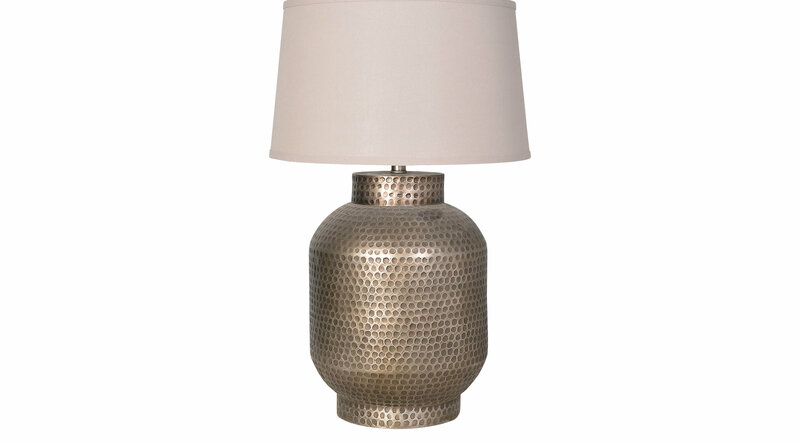 This BIG "hammered" Elm Valley table lamp will look great next to your new BIG living room set! Gray is the new brown and can go with anything. The 3-way switch allows you to adjust the brightness according to your needs.